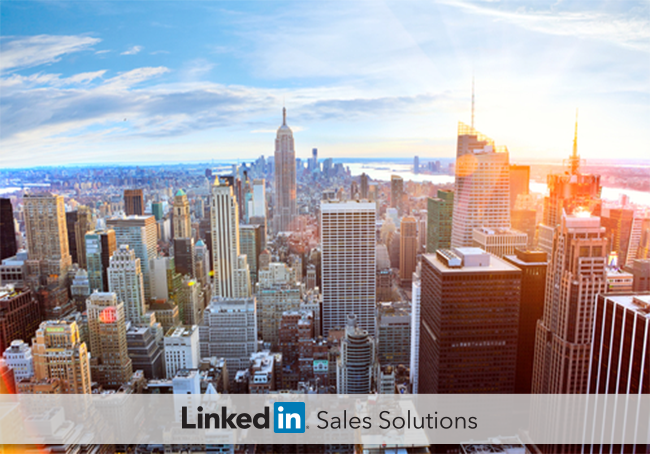 What Does Social Selling Mean in 2016? As buyer behavior evolves, what is social selling for the modern sales pro? Explore the history of sales and social media, and learn what the future holds. It’s impressive how quickly the exceptional becomes commonplace. Twenty years ago, clunky cell phones were a status symbol for the ultra-rich. Ten years ago, the most sought-after phones had slide-out keyboards for easy texting, and could take pictures about the size of a postage stamp. Now virtually anyone can have a device with so many features it seems reductive to call it a phone. We take for granted that every year we’ll see a better pocket supercomputer than we had last year. Adoption of social selling is following a similar arc. Fifteen years ago, the term didn’t exist. Even five years ago, it was a new movement that many were sure was a fad. Sure, buyers are doing research online, the naysayers said. Sure, cold calling is getting harder. But that’s sales, right? It’s a numbers game. Social media is where you go to post pictures of your family vacation. So, what is social selling? As with the smartphone revolution, it’s the game-changer that became the game. It’s the new norm. The sales professionals who continue to get better at social selling will continue to get better at sales, period. To help you improve your social selling efforts throughout 2016 and beyond, we have put together these thoughts from some of the brightest minds in the sales profession. Read on to get informed and inspired. “The key to modern-day sales success is collaboration, enabled by both the technology and the environment that nurture a collaborative culture and put everyone—not just sales—into a position to excel.” –Isaac Garcia, SVP & General Manager, Central Desktop. “Lone wolf” sales professionals are less effective in a social selling organization than those who collaborate. Social selling superstars increase their reach by leveraging the team’s network (which also requires sharing their own), and enhance their reputation with strategic use of the marketing department’s content. “Forget today. Think about the future. While it can be rewarding in the short term to focus on transactions, it will harm you in the long term. Build and sell relationships.” –Amar Sheth, Principal at Sales for Life. Social sellers sell the value they bring to a relationship, not just the product or service they offer. Your competitors can meet or beat your price, but your value as a trusted advisor can’t be duplicated. “Teaching is the new selling. Becoming a teaching organization takes a commitment. It’s a cultural change. It doesn’t mean you no longer sell – it’s how we sell that changes.” – Jim Keenan, CEO & President at A Sales Guy. When buyers are looking for information, you can arm them with the knowledge they need to make a decision. The education you provide establishes your reputation as a valuable resource, making you the natural choice when the buyer is ready to make a decision. “You know you are running a modern sales team when selling feels more like the relationship between a doctor and a patient and less like a relationship between a salesperson and a prospect. When you go in to see your doctor and she asks you about your symptoms, you tell her the truth. You trust that she can diagnose your problem and prescribe the right medication. When she says, ‘This is what you have. Take these pills,’ you don’t say, ‘Let me think about it’ or ‘Can I get 20 percent off?’ You take the medication.” – Mark Roberge, Chief Revenue Officer, HubSpot. When you build a relationship with your prospects via insightful questions and active listening, you can sell based on value and expertise instead of price or features. Ideally, your prospect makes a purchase decision because they trust your advice, secure in the knowledge that your solution is right for their needs. “Selling has increasingly become about establishing relevance and delivering value. You want to reach out to the right person at the right time with the right valuable insights.” –Alex Hisaka, Global Content Marketing Manager, LinkedIn Sales Solutions. The most successful sales professionals have always tried to add value for their prospects and clients with every interaction. For social selling, it’s even more important to rise above the noise with relevant, engaging messages. Thankfully, it’s also easier than ever to know exactly what is on your prospect’s mind. “Nobody likes someone who won’t shut up, and it’s the same on social media. Social selling is just as much (if not more) about listening to buyers to discover their interests as it is about becoming an effective content curator and thought leader.” –Jill Rowley, Chief Evangelist & Founder, Jill Rowley #SocialSelling. In the early days, marketers and sales reps saw social media as a place to broadcast their message. Now we know social media’s true value is as a listening tool. If you dominate the conversation, you lose the chance to learn what your prospects actually want. The more you listen, the better equipped you are to offer a personalized value proposition. “Technology is a double-edged sword. Just as sales people are moving into the future, buyers are already ahead of us." 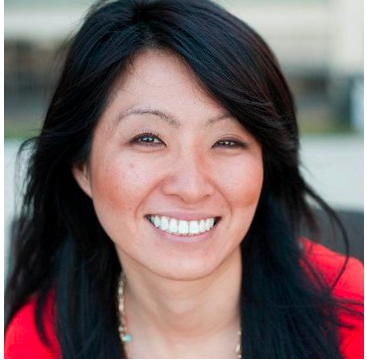 –Koka Sexton, LinkedIn Corporate Communications. Now that sales has gone digital, it may seem daunting to keeping up with the endless advance of technology. Fortunately, at the heart of it, social selling is more about people than technology. It’s about meeting your buyers where they are, getting to know them by taking a genuine interest in their needs, and giving them the information they need to make the best purchasing decisions. If all of that sounds familiar, it should; good salespeople have always built relationships and helped people make informed decisions. The difference is that social media makes the whole process easier, faster, more efficient, and scalable. For the inspiration and advice you need to step up your social selling efforts, download our eBook, Getting Started with Social Selling on LinkedIn.